Remember the First-Time Homebuyer Tax Credit? It was perhaps the only effective or successful federal economic program in the past five+ years. Well, Even those rare government programs that actually work are fraught with fraud. Go figure. As early as last October, there were reports of fraud schemes and suspicious claims as the tax credit was set to expire and was being considered for extension (see DSNews 10/20/09). That’s not so surprising, I guess. 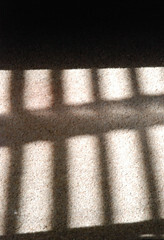 What’s shocking is the recent report that prison inmates were able “to apply for and receive $9.1 million in homebuyer tax credits” (see DSNews 6/24/10). This article refers to a Treasury audit report that further shows that 241 inmates serving life sentences received a combined $1.7 million in tax credits. This sort of begs the question: what kind of income tax liability can you earn serving a life sentence behind bars? Is there even any point in a federal tax credit? The same Treasury audit also indicates that $17.6 million in claims were allowed for homes purchased before the tax credit program. It gets better, though, with the reports of post-refund claims resulting in investigation, $785 million, or post-refund claims resulting in denial, $438 million. The IRS seems to be catching a whole lot more fraud than they miss, but still . . .
There’s been a lot of discussion on the subject of Strategic Default over the last year or so, with no shortage of passionate viewpoints. It’s a favorite topic in all forms of media. The last time we posted an article on this subject (Feb ’10) it created a virtual firestorm of response. If you don’t have a “hardship,” you only have two options: take your lumps or walk away. You don’t qualify for a loan modification or a short sale. You likely chose your home for the lifestyle it offered, rather than as an investment. You would be content to stay if you didn’t feel like the value was a total loss. Lenders (and their investors) prefer performing loans to non-performing loans, and it’s well-documented how costly walk-away defaults are for lenders. Governments like performing loans, too, but their solutions aren’t working. A principal reduction modification could even be an equity-share agreement. The borrower agrees to share any equity growth with the lender at the time of sale. It’s a no-lose proposition. Sound improbable? Well, it’s already happening. A close friend very recently received such an offer. It came in an overnight express package directly from the lender, a major bank, with a no-strings offer to reduce the principal loan balance by a substantial amount. After a lot of “must be a scam” follow-up, it turned out to be legit. Now the loan balance is lower than, or near market value. The borrower can consider new options: stay and make improvements, or even sell without a loss. The property in question had lost over 35% value since purchase, and was worth considerably less than the loan balance. The payments were much higher than comparable rent. Numerous attempts at loan modification failed because there was no hardship. The borrower could still easily afford the payments, and loved the house, but was seriously considering walking away. Seemed like a sound business decision. Nonetheless, they continued to stick it out. After about a year, a new lender acquired the loan, and almost immediately they offered the principal reduction. Some suggest that there is no such thing as “doing the right thing.” Compared to what? Nevertheless, my friend was rewarded for being faithful and credible. Everybody wins. No legal consequences, no ethical dilemma, lifestyle intact, the loan doesn’t default and the bank doesn’t have to dig the occupants out. There are some prerequisites to qualify for this offer. I can’t verify this, but from what I understand you have to be current with your payments and it applies only for purchase money, not cash-out refi’s. Are Foreclosures On The Decline In California? According to RealtyTrac, “California posted the second highest percentage, with foreclosure sales accounting for 51 percent of all sales there in the first quarter — up slightly from 50 percent in the previous quarter but down from 70 percent of all sales in the first quarter of 2009.” Wow! Over half of all sales were foreclosures, and that’s an improvement from the previous year. The highest percentages were in the San Joaquin Valley, San Bernardino and Riverside areas. Santa Clara County was relatively low by comparison. So, are foreclosures on the decline in California? Hardly. According to the LA Times “banks foreclosed on almost 200,000 homes in California last year, and this year’s toll is expected to be even higher”. Sometimes the news is confusing, which is to be expected because the media seems to be generally confused. It’s easy to misunderstand the facts. On one hand, foreclosure activity was down in May, but bank repossessions hit a record high (CNBC, June 10). What . . . foreclosures down, repossessions up? Aren’t foreclosures and repos the same thing? It depends on how the terms are used. “Foreclosure activity” generally refers to the beginning of the process, and “bank repossessions” refers to homes that have already been foreclosed, or REO (see our earlier post). Why did the percentage of foreclosure sales decline since a year ago? It’s not because there were fewer foreclosed properties, it’s because fewer of them were for sale. Doesn’t make sense, does it? If there are more bank-owned properties, there should more of them for sale. But according to Rick Sharga, senior VP of RealtyTrac: “they’re managing inventory to prevent a free fall in home prices.” See our earlier post: The Shadow Inventory. This is the first step in shopping for a home, and maybe the most important. If you have the right loan, it will save you untold frustration after you have your offer accepted. If you wait until after you’re in contract, there’s too much pressure and not enough time to make a thoughtful choice. This is so true. Not all loans are equal, neither are they always what they seem. You should question everything, and everyone, relentlessly, and take your time. You would do as much if you were buying a car. When you buy a home, you’re really buying a loan. Do your homework. Choose your loan carefully, and choose your lender carefully. Talk to more than one lender. Ask them to help you figure out what you can afford, and for the two best loans they recommend for your situation. If you get the same answer from two or more lenders, then you’re getting close. Again, question everything. Understand your loan completely. Avoid surprise and frustration. Finally, work with a lender that you resonate with, one that is crystal clear and easy to understand. This is important, too. Most stressful moments in a transaction come in the last few days before close of escrow, and my experience is that these moments almost always things that were communicated poorly, or not at all. You don’t want to find out at the last minute that you need another $10K for mortgage insurance, or that your rate is actually 5.375 instead of 5, or that your origination fee is 4% instead of 1.5%. You need to be able to communicate clearly with your lender during escrow. Support The Santa Clara 49ers Stadium Initiative! On June 8, 2010 voters in Santa Clara will have a once–in-a-generation opportunity. The City of Santa Clara and the San Francisco 49ers have collaborated on a flawless development plan. The city council and staff have been exhaustively diligent, and the plan is brilliant in every facet. Most residents I’ve spoken with that oppose the stadium initiative, Measure J, express concern about new taxes, traffic impact and new debt, but the more they learn about the facts, the more convinced they become, as I am that this is truly a no-lose proposition. Measure J will involve no new city taxes or use of general fund money. The traffic plan is brilliant. The positive impact on the local economy is practically limitless: new job opportunities, increased local business revenues, increased property values, etc. Economic stimulus? Just look at the area of San Francisco surrounding AT&T Park. In just 10 years since the ballpark opened, the China Basin neighborhood has grown from a barren corner of the bay to one of the most densely productive areas of the City. This about more than just football; this is about being one of the most significant cities in the country. It’s a singular economic opportunity in the midst of a recession. It’s about jobs, revenues and property values . . . and we only get one shot at it for all time. Join Santa Clarans For Economic Progress and Vote Yes on Measure J.
Regretfully, all is not what it seems on Craigslist. On a recent REO listing we received numerous calls inquiring whether the property was for rent or for sale. Shortly after we posted the home on the multiple listing service someone posted a Craigslist ad offering the property for rent at a ridiculously low price. The ad actually copied our MLS headline and verbiage word-for-word. This was an upscale property in remarkably good condition for an REO. We expected a lot of inquiries, but not from renters. Some of the callers had driven by the property, noticed our lawn sign, figured the spoof and called to tip us off. One of the parties answered the ad and received a response from an “absentee owner” with elaborate instructions regarding deposit, credit check, keys, etc. This isn’t the first time someone rent-spoofed one of our REO listings. The last time we got tipped off, one of my staff posed as a prospective renter and carried on a clever reverse spoof with the scammer by email. She filled out a long application under a celebrity name, answered by a request for a photo. She sent a photo of another celebrity, answered by a request for a money order for the deposit. The scammer explained how they really wanted someone who would take good care of their home while they were overseas, how they would take time out of their busy schedule to fly home and deliver the keys once the deposit had cleared. Although we’ve been tipped off to only a couple of instances over the last three years, it’s probable that this goes on all the time. The sad part is, like all internet scams, they must work sometimes. If people didn’t fall for them, they would stop. 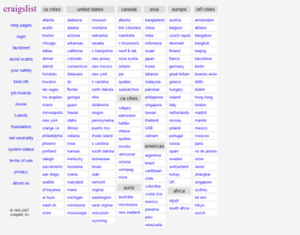 Beware the Craigslist rent scam, and warn everybody you know: don’t pay for anything you can’t verify! If you are even slightly suspicious, consult a professional. Owners that can actually make their loan payments, but choose to walk away, accounted for 1 in 4, or 25% of all foreclosures as of June 2009. That was over six months ago, and the numbers have probably gone up since the initial studies (these data can be easily verified via a quick Google search). Strategic default is an ethical dilemma, and the discussion is burning up cyberspace. On one hand, there is a moral obligation to honor your contract. If you owe more than your house is worth, one way or other you gambled on your equity and came up short. Maybe you bought at the top of the market, or took out an equity line of credit and bought some stuff; a car or TV, or maybe even another house. Regardless, it’s not your lender’s fault that your property value went down. After all, if your property went up in value you wouldn’t turn around and give the bank extra, right? If you buy gold, and it loses value, you don’t get your money back, you wait it out. If you loan money to a friend, and he loses it all, you would still expect him to pay you back, especially if he can afford it. The value of a promise doesn’t flex due to circumstances, or whether you are the giver or the receiver. If you can make your house payments, it’s the right thing to do. On the other hand, are the banks responsible for some of this mess? Should they share the burden? Didn’t they sort of tease us into all these high-risk loans and credit cards? In the first few years of the Y2K decade, the FED, major lenders, and real estate professionals convinced us that everybody in America could buy a home. They made you feel foolish if you didn’t. It was like manifest destiny,your birthright, your duty. You could get a home loan if you had a pulse. You could qualify just because you said so, no matter if you could actually afford one. Lenders didn’t seem to care if you were truthful in your loan application. Certainly they knew they were making questionable loans, gambling on equity just like us. Aren’t the financial institutions culpable, too? Didn’t they practically beg us into this? The survival of our economy depends on everybody doing the right thing. Imagine the consequences if all borrowers that owe more than their house is worth but can afford the payments choose to walk away, or if all the lenders call in all the notes on properties that won’t appraise for the full amount. So, who gets the free morality pass? Who gets to choose what’s fair? Is personal credibility negotiable? Is the golden rule irrelevant? Do we just step off when times get tough? Is this the new American paradigm? Not surprisingly, real estate professionals are leading the charge in advising people to walk away. Not ironically, real estate professionals were leading the charge 4-6 years ago advising people take on these same loans. Whatever it takes to earn a fee. Maybe it’s time for an industry gut check. No doubt there is a shadow inventory. In fact, our sources indicate a substantial, almost incredible number of foreclosed homes in the national bottleneck. Our original post on this topic was “Shadow Inventory, yes. Banks holding back, not likely”. As indicated, this was posted in rebuttal to the referenced WSJ article, last July. Of course a lot can change in 6 months. Since then we have come to believe that Fannie Mae is, in fact, deliberately holding back inventory, a probable attempt to stabilize or stimulate values, another ill-fated artificial manipulation of the marketplace. Only government-sponsored enterprises (GSE) can get away with holding non-performing debt rather than having to liquidate it. Apparently the recent near collapse of Fannie and Freddie did little to cure their attitude. How can you hold onto to non-performing debt and survive? Obviously you can’t. The fallout of this strategy of the GSEs is that the major banks like Wells and BofA now have to follow suit, whether they want to, or whether it makes good business sense, or not. It’s amazing how resilient and patient these guys are. First they absorb all the bankrupt competition and all the non-performing debt. Then, the government traps then into partnership through TARP and forces them to take bailout money they don’t want. Then, moratoriums and intervention handcuff them and prevent them from doing any sensible business at all. In the meantime, the media vilifies them and the public hates them. But these guys are the only hope. They are the only survivors amongst dozens of bankrupt banks. They survive through fiscal responsibility and good management, two concepts that seem to elude all federal agencies. Fannie Mae and Freddie Mac were saved from bankruptcy by bailout from the federal government, the largest debtor in the world. The only reason the federal government isn’t not bankrupt already is because they can print money (see our blog “What Is The FED?, Part Two” 10/3/09). These are proven fiscally irresponsible agencies. They maintain the illusion of being in control of our economy. They are manipulating national housing, foreclosure and lending laws, with no consistent vision or policy. This is a disaster. The irony in San Jose and Silicon Valley is that Fannie and Freddie haven’t been much of a player here. For the past 10-12 years our average values were above FNMA limits. All these ’05 loans that are foreclosed are from non-GSEs, yet our marketplace is captive to their manipulations. So, we wait. In the meantime it’s a warzone: lots of buyers, no inventory. It’s all in the bottle. Heck of a recovery strategy. Let it out! We can sell it! NOW! If the federal government, the Federal Reserve, Fannie Mae and Freddie Mac would get out of the way, maybe we can get out of this mess. Maybe we wouldn’t have gotten into it in the first place. Let the banks do their job.